Research by DairyNZ senior scientists Jane Kay and Claire Phyn provides valuable insights on what to expect for farmers considering once-a-day (OAD) milking post-Christmas. Christmas often marks a waypoint in the dairying calendar for deciding how best to approach the remaining four to five months of the season. From January 2013 until the end of lactation, 52 crossbreed cows were split into two herds, one milked twice a day (TAD) and the other OAD. Cows’ feed intake was analysed, along with milk production, somatic cell count (SCC) and body condition score (BCS) gain. The trial discovered production per cow dropped 10 percent while cows were being milked OAD. In this particular trial, the 10 percent loss in milksolids production occurred when production was past its peak and cows had already delivered about two thirds of their season’s total yield. This meant the overall impact on the season’s production was approximately four percent. The trial found the decline in feed intake by the OAD herd was not as great as expected. Cows milked OAD ate about three percent less than cows milked TAD, says Jane. This small decrease in intake needs to be considered if milking OAD during a dry summer. With similar intake levels, but with less energy being put into milk production, the OAD herd was in a better energetic state. This resulted in OAD cows being on average a quarter of a BCS unit more at dry off than the TAD cows. “This meant cows being milked OAD in late lactation had slightly less BCS to gain through the dry period in order to achieve BCS targets at calving” says Jane. Although SCC was not greatly affected in this trial, it did increase in OAD cows as lactation progressed and milk volume decreased. The impact on SCC of switching cows to OAD milking in mid/late lactation needs to be considered, especially in the first few days. “The bulk tank SCC needs to be able to double without grading when cows are switched to OAD. Cows with mastitis or high SCC are not good candidates for OAD milking and should be either dried off or continued to be milked TAD” recommends Claire. Alternatively, the switch to OAD can be staggered over several days to prevent a large spike in SCC. DairyNZ researchers have also dispelled the “mammary memory” myth that implies putting a cow on OAD will negatively impact on future lactations. “We followed the cows that had been milked OAD into the next season and there was no reduction in milksolids yield when they commenced TAD milking again after calving” says Jane. “If anything, these cows will have a higher BCS at dry off, are more likely to reach the BCS targets at calving and reap the production and reproduction benefits of this,” says Claire. Milking the cows OAD also did not extend the cows’ days in milk. If contemplating milking OAD post Christmas, these performance factors need to be considered alongside other farm specific variables such as lifestyle and milking associated costs. 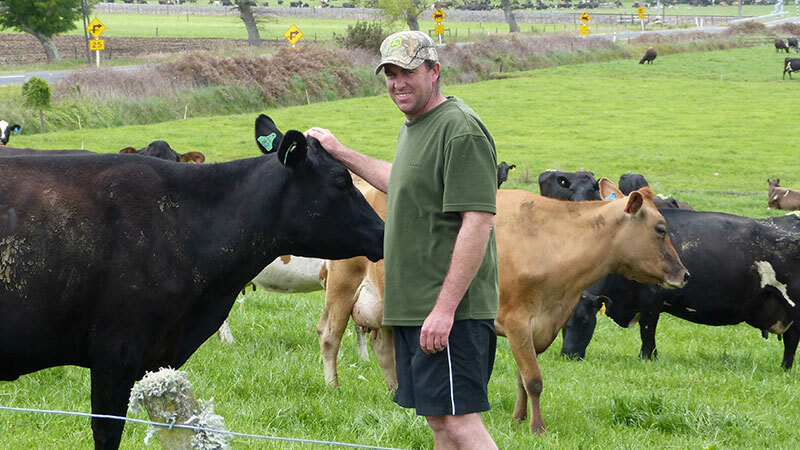 The big drought of 2007-08 prompted Waikato sharemilker Mark van Hellemond to try putting his herd on OAD milking for the first time. Waikato sharemilker Mark van Hellemond. Since then he has not looked back, and now the herd goes OAD early January every season. Mark’s 460 head herd of larger Friesian cross cows are typically producing 1.7kg MS a cow a day when he switches to OAD. Mark maintains the 11 percent drop gets channelled into body condition instead. That in turn reduces the need to increase condition score over winter, has the cows peaking higher the following spring and achieving better cycling and in-calf rates. He regularly achieves the national goal of 78 percent in calf within six weeks. He knows his bulk somatic cell count will double the first day he starts OAD milking, but settles back to the TAD average after three days. The lower milk price in 2015/16 had prompted him to consider OAD before Christmas. “But that’s pretty hard to do when your cows are still producing 2kg MS/cow/day. 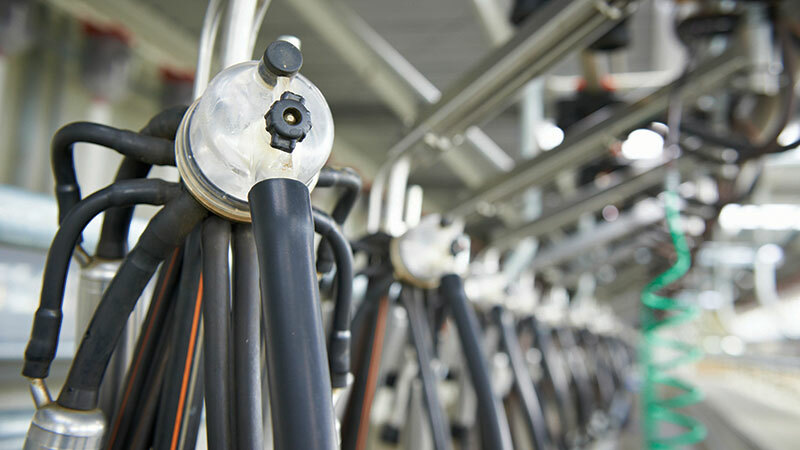 OAD milking is the practice of milking cows only once during a 24 hour period. Find out more here.